Former Aurora Deputy Mayor – and high school math teacher – Bob McRoberts has thrown his hat back into the political ring, this time seeking your vote as Aurora-King’s Trustee voice at the York Region District School Board. Mr. McRoberts served as a math teacher in York for 33 years. He also taught at Dr. G.W. Williams Secondary School and King City Secondary School. 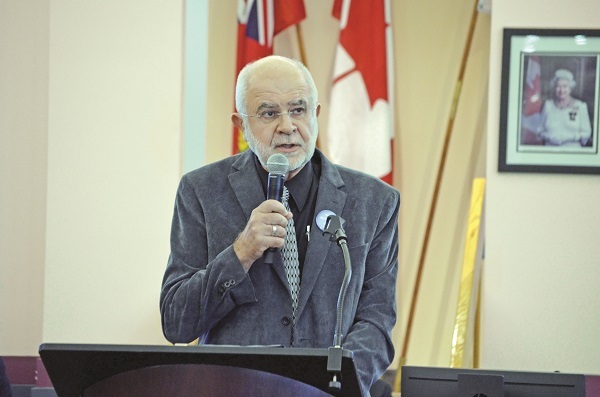 Since retiring from teaching in 2008, he’s been a York University instructor, Early Leaver Support Staff with the York Region District School Board (YRDSB), mathematics tutor, and supply teacher – all while balancing his role on the 2006 – 2010 term of Council. McRoberts has enjoyed his 42 years as an educator, having taught over 7,000 students and tutored over 180. He has coached 47 school teams and served on school councils in Aurora for eleven years. “I hope I made a positive difference in students’ lives, whether it be increasing their knowledge of mathematics, or simply building their confidence to succeed,” he says. “As a teacher and coach, my focus has always been on students and helping them to achieve their potential. McRoberts’s educational acumen is accented by his community involvement. He was Deputy Mayor of Aurora (2006-2010) and sits on the board of governors of Aurora Sports Hall of Fame (2013-present). He is also on the board of the Aurora Historical Society and Heritage Advisory Committee. As trustee, McRoberts says he will keep a focus on student achievement and well-being, maintain an open line of communication with the public, identify the needs and priorities of the schools in Aurora and King, and ensure they are considered in Board decisions. He vows to make decisions that benefit the entire Region while representing the interests of Aurora and King. McRoberts says that “Schools need to adjust in optimum ways to ensure students grow into well-rounded, literate citizens amid all the current societal pressures coming from technology, social media, and advertising. Policies and procedures which deal with the challenges of today’s schools need to be regularly reviewed and properly adjusted to be workable for teachers and fair to students.” He says he cares about all issues that pertain to students.